Hirsty's Family Fun Park07771 605797work Theme ParkThe Spring Baananza is open over the Easter Holidays. Visit the Funpark and have fun using all the play equipment, and then take a ride on our tractor and trailer and get interactive with our ewes and lambs in the lambing shed. Don’t miss out the quiz that covers the Funpark and farmyard and head back to the Funpark for the Great Easter Egg Hunt. 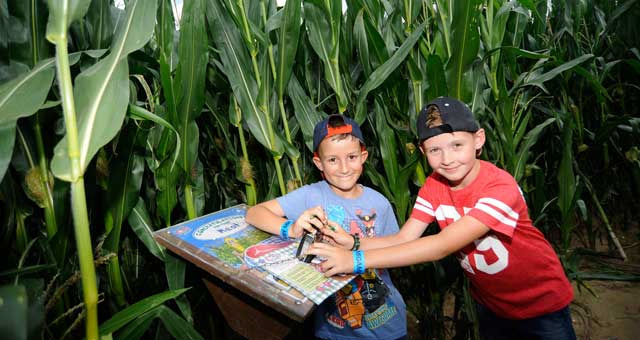 In the summer come to the Megamaze and get lost finding all the clues for the quiz in our giant maize maze. Find your way out and then have fun playing on the Funpark play equipment. Perhaps take a tour on the tractor trailer ride around the farm, you’ll see our crops and some livestock. At the Halloween Hoot come have a fun day picking a pumpkin from our pumpkin patch, wheel it back to the carving tent and start creating your own masterpiece. Then try out our other craft activities before getting out and playing in the Funpark! Follow the Pumpkin Queen for her daily trip through the Maze. Don’t worry about bringing a picnic- although we don’t mind if you do- buy great food and drink from the Hunger Hut. We serve our own farm reared beef and lamb burgers hot and cold drinks. Ice cream come from Dann’s at Dereham so we try and serve as much food that is locally sourced. The Spring Baananza is open over the Easter Holidays. Visit the Funpark and have fun using all the play equipment, and then take a ride on our tractor and trailer and get interactive with our ewes and lambs in the lambing shed. Please telephone mobile 07771 605797 before attending if weather is unsettled. Please note in wet conditions ground will be soggy. 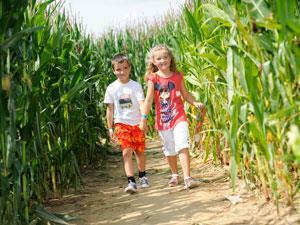 Annual Pass £110 Multiple entry to all 3 events for a family of 4.